When I took a class this fall from Tim Holtz, he talked about how he used blister packs to create some of his projects. 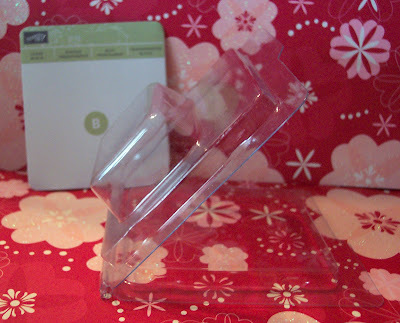 Blister packs are the pre-formed, hard plastic cases that many of our items are packaged in today. When my Stampin’ Up! 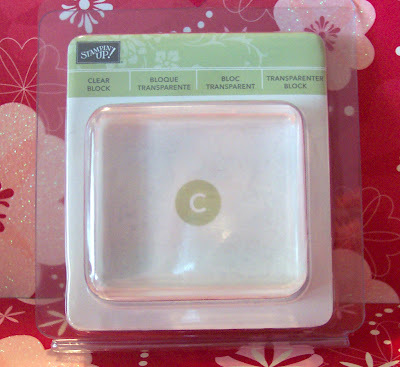 clear mount blocks arrived, I noticed that the blister packs they came in were perfect for holding small treats. This is how the clear mount blocks are packaged. Once you open the package to get your clear mount block, save the instruction booklet to use as the template for your background. This is a great way to use up some of your scraps to decorate the blister pack. For this project, I used the following items. These are the assorted brads that are in the package. 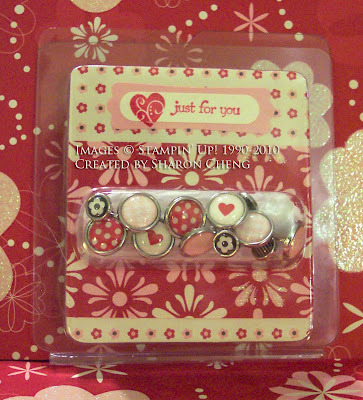 Please send pictures of items that you have made using blister packs to me at cheng1170@sbcglobal.net. I'll be happy to share them on my blog.